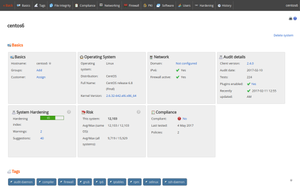 Lynis Enterprise performs security scanning for Linux, macOS, and Unix systems. It helps you discover and solve issues quickly, so you can focus on your business and projects again. Want to scan your first system, within just 1 minute? Start with the open source tool Lynis. Start using the free and open source tool Lynis. Learn more about the plugins, extending the functionality of the tool. Upgrade to Lynis Enterprise. See the solutions page for details. Click on the image above for a demo and request a trial. TechRepublic considers Lynis to be a must-use tool.